Last February Baxter Bailey injured himself trying to break into his own home when he couldn’t find his key. Crawling through a window leading to the utility room, he slipped and fell, hitting his head on the concrete floor. He was unconscious for about an hour. At the hospital, “Doctors told me that my brain moved inside the skull,” Baxter says. But a small hemorrhage in the brain visible through scans wasn’t bad enough to keep him as an inpatient for more than a day. Baxter was diagnosed with a concussion, or what medical professionals call a mild traumatic brain injury, and released. “Within two weeks, the abrasion on my head got healed, and you couldn’t tell that anything ever happened to me if you looked at me,” says Baxter. But his troubles were just starting. Two months later, Baxter was in the emergency room again. He had started losing control of his left side. He found lifting his leg to get into a car difficult. Walking caused him trouble. This time the scans showed a chronic hematoma — swelling and bruising — on the right side of his skull. “It was like 3 inches long and an inch thick and I could see that my brain literally was off center and my cerebellum was misaligned,” says Baxter. 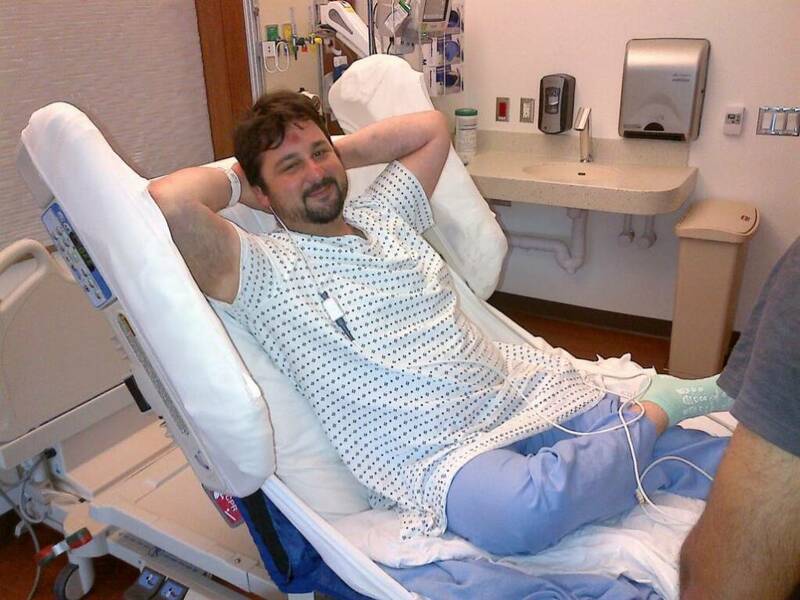 Doctors told him he needed immediate surgery. The plan was to drill a little hole in his head the size of a dime. Each year, about 2.5 million people in the United States are admitted to emergency rooms with traumatic brain injuries, according to the Centers for Disease Control and Prevention. 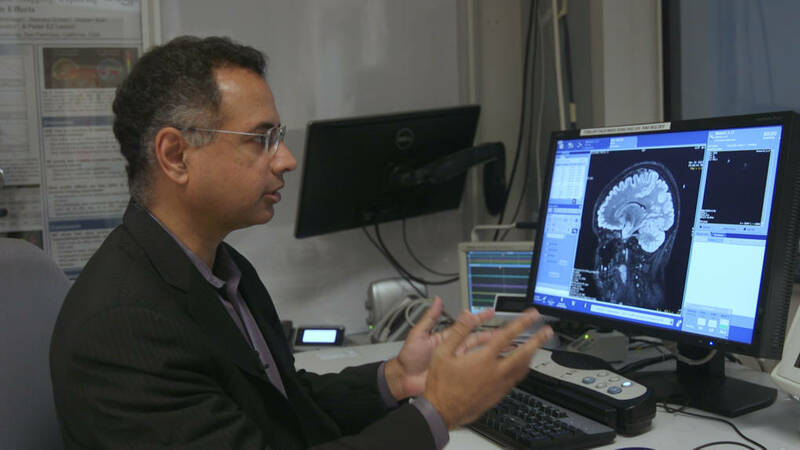 The difficulties of studying concussions, with their vague symptoms and hidden physical damage, have turned brain injury into a “silent epidemic,” in the words of Pratik Mukherjee, a neuroradiologist at UCSF. Teena Shetty, a neurologist at New York City's Hospital for Special Surgery, agrees. “Unlike other neurological diseases, one cannot pinpoint the area of injury in concussion,” she says. Doctors are not even in agreement about how to treat concussions. Some advise resuming daily activities as soon as possible, others suggest avoiding demanding work and staying away from bright lights and loud sounds. Existing guidelines are not backed by evidence, according to Jeff Bazarian, professor of emergency medicine at the University of Rochester Medical Center, in New York. Predicting which concussion patients will fully recover and which will be permanently debilitated is more or less a guessing game. Tom Gal, a 37-year old entrepreneur from San Francisco, spent almost two days in a coma after being hit by a car last August. He woke up with no memory of what happened and had to learn the details from his medical report. But eight months after the injury, he says he is doing just fine. In contrast, 29-year-old bread baker Ana Diaz, from Richmond, Virginia, complains about short-term memory lapses and increased anxiety six months after a biking accident that left her with no signs of head trauma on a CT scan. In light of such counter-intuitive outcomes, many researchers feel it is now time to make the diagnosis and prognosis of concussions more precise and evidence-based. 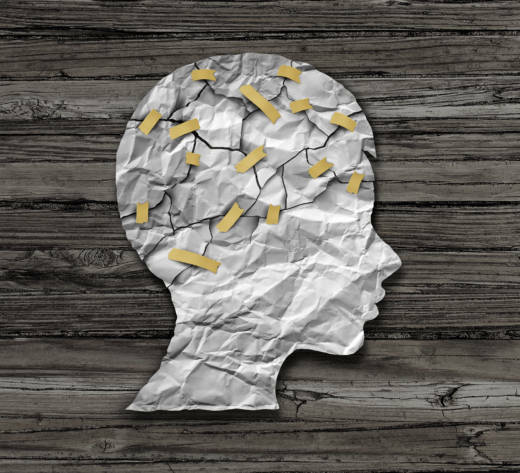 According to Mukherjee, 15 to 30 percent of concussion patients will experience worsening brain function later on, including problems with thinking, memory, attention and decision-making. Patients can also experience sleep disorders and headaches that persist for weeks, months or years. In the severest cases, people can develop epilepsy and seizures, with increased risk of Alzheimer’s disease. As a result, about 3 to 5 million people live with the long-term physical, cognitive and psychological health disabilities of traumatic brain injury. Estimated annual direct and indirect costs are over $75 billion, according to the Centers for Disease Control and Prevention. What’s needed, some researchers believe, is a large study focused on improving how doctors measure concussions and predict the long-term effects on patients. Baxter, Gal and Diaz may have found one. While recovering from their injuries, they signed up for a study called TRACK TBI, for Transforming Research in Clinical Knowledge in Traumatic Brain Injury. TRACK TBI, spearheaded at UCSF, started in 2014 with just 75 enrolled patients. The cohort has now expanded to include over 2,000, with the goal of enrolling 1,000 more. The study spans 19 research centers across the country, and major funding comes from the National Institutes of Health and the Department of Defense. TRACK TBI is also partnering with CENTER TBI, a European sister-trial, monitoring 10,000 concussion patients. Study researchers want to analyze the results of blood analysis, MRI scans and cognitive tests to find which patients are at higher risk of developing long-term cognitive problems after suffering concussions. The problem with diagnosing concussions starts in the emergency room. The majority of patients with mild, non-life-threatening traumatic brain injuries get released from ER without any follow-up evaluation. “And that is a mistake,” says Mukherjee, who is also one of TRACK TBI’s principal investigators. CT scans in the ERs across the country can miss subtle brain damage, as occurred in Baxter’s first CT scan. These diagnostics can only detect structural changes or internal bleeding in the brain, like the hemorrhage Baxter eventually developed. Even following severe traumatic brain injuries, as Gal suffered, neither CT nor standard MRI can detect microstructural changes and alterations in brain functioning. But it is these subtle changes that may predict the likelihood of lasting problems, including impaired focus, attention, memory and decision-making. TRACK TBI researchers are looking for biochemical signals that could ensure reliable, speedy diagnoses and good predictions of whether patients will suffer long-term effects. Mapping is another focus of TRACK TBI. Powerful MRI scanners with software that allows precise reconstruction of high resolution MRI images could help scientists create brain maps. The study is using the latest MRI scanners, at least twice as powerful as the ones installed in many of the country’s hospitals and imaging centers, to peer deeper into the brain and search for abnormalities in the fine-grain structure of the brain’s “white matter.” If this is damaged, it can disrupt brain functions like imprinting memories, maintaining focus and making decisions. Patients enrolled in the TRACK TBI study get scanned two weeks after their head injury and then again six months later to reveal the presence of any chronic effects. Researchers are also scanning for the presence of specific types of proteins in the blood that can be detected in brain-injury patients. TRACK TBI is particularly focusing on GFAP (glial fibrillary acidic protein) and Tau protein. In the 1950s and 1960s an electrocardiogram was the only way to measure a patient’s heart for signs of heart disease. But a patient could show a normal-looking EKG even while suffering a heart attack. With time, blood tests measuring proteins have proven to be more reliable. Using a similar approach could transform concussion diagnoses as well. Chunlei Liu, an associate professor of the Helen Wills Neuroscience Institute at UC Berkeley, who also has no relationship to the study, is glad to see TRACK TBI’s multipronged approach. This approach is part of a trend. The CARE Consortium, funded by the NCAA and the U.S. Department of Defense, is similar in many ways to TRACK TBI, but focuses on student-athletes and military service members. At the University of Pittsburgh. the ADAPT Trial is focusing on children with severe traumatic brain injury, hoping to determine the best care procedures. If prognostic biomarkers can be identified by TRACK and other studies, it could help scientists resurrect once-promising treatments that were abandoned after failed clinical trials. One of the most disappointing failures was the PROTECT trial, which in 2015 experimented with treating acute traumatic brain injury with progesterone, a steroid found to sometimes have powerful neuroprotective properties.The study showed promising results on lab animals, but it collapsed after moving to phase III human trials. If biomarkers can be discovered, researchers can determine exactly which patients will or will not benefit from treatment. And patients recovering from brain injuries may be able to face their future with a clearer idea of the path ahead.